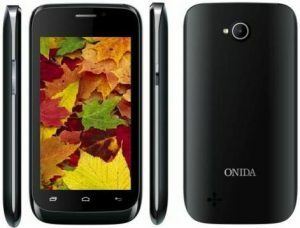 ONIDA released its smart phones with cheap in cost and the features are spectacular with leading in performance. The smart phones are fully loaded up with good apps and android version. The best ONIDA smart phones are listed below with full specifications and features! I406 works with 1GHz processor and has 4 Inch WVGA screen which is of 800*480 pixels resolution with G sensor. 2MP main camera gives medium clarity with auto focus and LED flash. Secondary is of 0.3MP VGA camera. Coming with memory, the phone is having 2GB inbuilt memory with 256MB RAM. Latest android works as OS in this smart phone. The i407 is brought up with 512Ram with 1GHz processor which gives speed tasks and the screen size is 4 Inches which is having WVGA of 800*480 pixels resolution. The rear camera is 2MP auto focus which is having LED flash when taking snaps in low light condition. The front camera is prolonged with 0.3MP VGA camera. Inbuilt Storage is 4GB and expandable up to 32GB. The ONIDA phones are smart ranged phones with satisfying features in reasonable price and the features like auto focus and HDR helps images to high quality taking! The android version KITKAT supports many applications which are available in Play store.